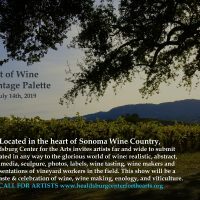 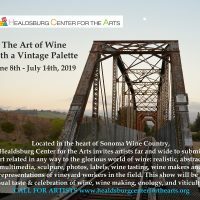 Located in the heart of wine country, Healdsburg Center for the Arts invites artists far and wide to submit art related in any way to the glorious world of wine: realistic, abstract, multimedia, sculpture, photos, labels, wine tasting, wine makers and representations of vineyard workers in the field. 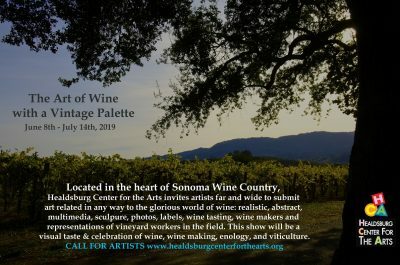 This show will be a visual taste and celebration of wine, wine making, enology, and viticulture. 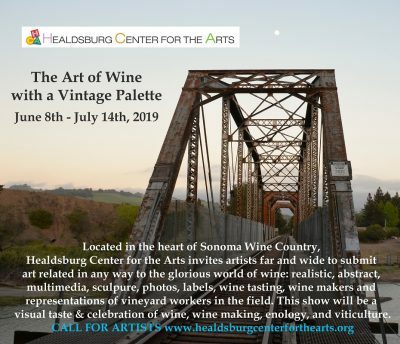 Media accepted: All media considered. Includes but not limited to painting, drawing, sculpture, mixed media, hand pulled prints, photographs, fiber arts, art glass, digital art and video art (digital and video artists must supply their own displays). 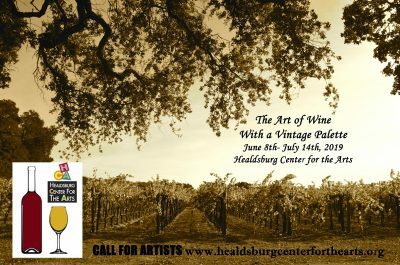 Only original works will be accepted; no giclees or limited edition prints.